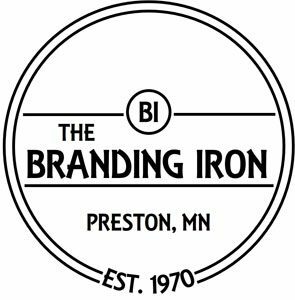 After much anticipation, the time is here for the Branding Iron in Preston, Minn., to reopen under new ownership. When previous owner Steve Bahl closed the doors of the Branding Iron on January 19, 2019, it was difficult for many area residents to accept, as the restaurant had been their favorite eating establishment for so many years. 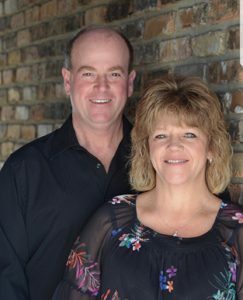 On Tuesday, April 2, 2019, the Branding Iron reopen its doors with new owners Dale and Becky Koch to greet you. Although new to ownership, the Kochs are very familiar with the Branding Iron, as they actually met there many years ago. While Dale was growing up in Wykoff, Minn., he began working at the Branding Iron at the age of 16, starting in the kitchen and then becoming a cook. Two years later, while Becky was growing up in Lanesboro, Minn., she too began working at the Branding Iron at the age of 16, first in the kitchen and then as a waitress. The two got to know each other while working together and a couple years later began dating, which led to marriage, and a family they have raised in Preston. Dale worked at the Branding Iron for a total of 29 years and Becky was an employee for 27 years, before they both stopped working there six years ago. The Branding Iron has “kind of been a family thing,” states Becky. “Dale’s mom and dad worked here, all four of our kids: Kayla, Kyle, Korby and Kasey, worked here. My mom worked here, my sister worked here, my brother worked here,” she explained. “And my sister worked here,” Dale said. When asked if in their wildest dreams they thought they would ever own the Branding Iron, ,Becky responded “No, absolutely not!” as she explained, “Dale’s dream was to have a restaurant, but we never imagined the Branding Iron,” she says. 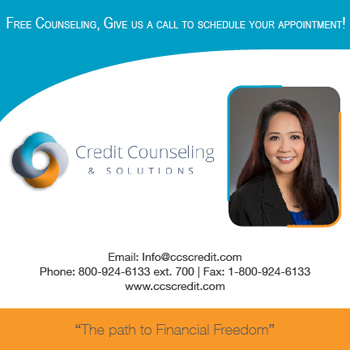 They never dreamed they could, but then they dreamed they would – literally. “When it came for sale all the kids called us saying ‘you gotta buy the Branding Iron,’” notes Becky. But Dale and Becky were not seriously considering it at the time. “When we heard the doors were closing and everything, we talked about it, but then we never decided anything,” because they had not had a real chance to talk about it at length. “For the last eight years he worked evenings and I worked days so we never saw each other – except Friday night and Saturday – then Sunday he would be back to work,” explains Becky. “I just kept having these dreams,” states Becky, after learning the business was closing. “I had three or four nights in a row I just kept dreaming about the Branding Iron,” she says. But they had not seen each other so she had not had a chance to discuss the dreams with Dale. 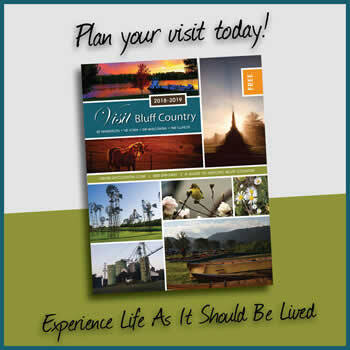 “So Saturday morning I’m sitting in the kitchen and I’m having coffee waiting for Dale to wake up and come out,” states Becky, and when he did she said, “You’re going to think I’m nuts, but maybe we should check into the Branding Iron — I have been doing nothing but dreaming (about it) every night for the last three or four nights.” “I have been too,” Dale smiled and said. That same day Dale went to the Branding Iron to talk to Bahl and when he got there Bahl was talking to another person interested in buying the business. Dale assumed that was that. Unbeknownst to the Kochs, word got around Preston that Dale had stopped to talk to Bahl, and a group of people in town named “Friends of the Branding Iron, LLC” believed that the Kochs were the right people to purchase the business and were prepared to support them. The Kochs left their jobs at Mayo Clinic in February and purchased the Branding Iron on March 13, 2019, although they were actually hard at work cleaning the restaurant two weeks prior to that and have been spending day and night at the business since then, preparing to open the doors. The Kochs have made some minor changes, such as new lighting outside, removing the western border in the bar area and some painting, but no drastic changes have been made. “Pretty much what people used to see is what they are going see,” states Dale. Future plans include outdoor seating with a patio in front of the building. “I would like to start working on it this summer. I don’t know if it will be up and running this year yet for sure or not – but I want to,” explains Dale. There will be no big changes with the menu items either; a couple sandwiches were eliminated, they brought back the chef salad, and added macaroni and cheese for the kids. Frog legs and chicken strips are still available but have been moved from the dinner menu to the appetizer menu. “Otherwise it is going to be pretty much exactly the same,” Becky says. When patrons visit the Branding Iron there will be a freshly designed menu with the business’s new logo on the front, which was designed by Jayme Ostern of Preston. The salad bar will still be an option and as in the past, there will be homemade salads and homemade soups. There will continue to be lunch specials and evening specials as well. The Kochs are very grateful to so many people that have supported them in one way or another. There have been people from the community, as well as friends and family that have helped them immensely. “They have been spending weekends with us and helping us do whatever” needed to be done, shared Becky. “Without that we wouldn’t be as far as we are,” Dale stated. “It’s kind of a humbling thing how the community came together and made this possible,” Dale shared, “and they made it possible for more than us actually they made it possible so the place will be open — it’s going to help everyone around,” he added. “I wanted to keep it open for the people,” states Dale. “It just seemed like a shame to let it go forever because a lot of these places, if they do close, they close forever,” he said. Dale and Becky look forward to greeting customers very soon. Undoubtedly, the restaurant will be full of customers anxious to enjoy a meal at the Branding Iron once again. “It’s going to be very busy so please be patient,” states Becky. “Bear with us,” asks Dale, as they learn the ropes of business ownership. Business hours of the Branding Iron will be Monday closed, Tuesday through Thursday 11:15 a.m. – 8 p.m., Friday and Saturday 11:15 a.m. – 8:30 p.m. and Sunday 11 a.m. – 8 p.m. Find them on Facebook for information and updates on the business. The Branding Iron is located at 1100 Circle Heights Dr. in Preston. 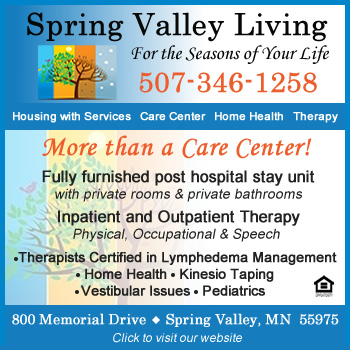 The phone number is (507) 765-3388. New logo designed by Jayme Ostern.